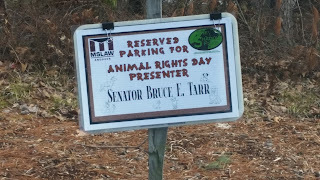 This past Saturday I was pleased to participate in the 10th annual “Animal Rights Day” at the Massachusetts School of Law in Andover, and to receive one of the school’s “Humane-Itarian Award” for my efforts to protect animals in our Commonwealth. 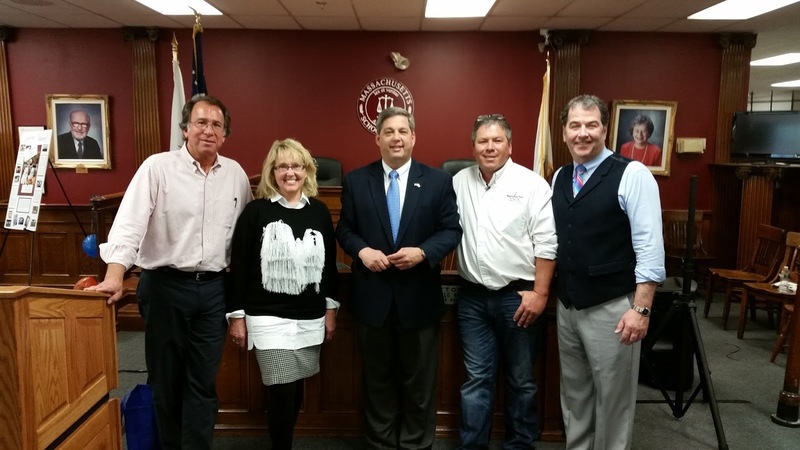 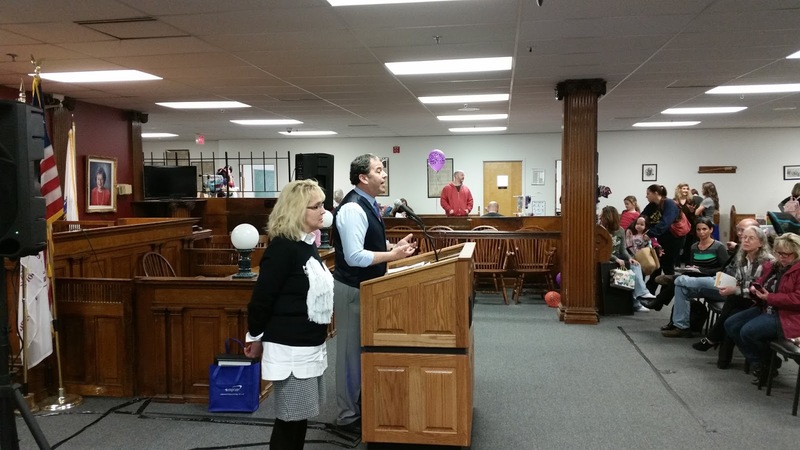 During one of the program’s speaking sessions I was able to discuss with the attendees the tremendous legislative and grassroots efforts that led to the successful passage of the Protecting Animal Welfare and Safety law, known as the “PAWS” act in 2014, which I worked to develop and acted as principal sponsor with 75 other co-sponsors. In addition, I updated the audience about the issues and bills that are in the future of the ongoing effort to protect dogs, cats, and other animals. 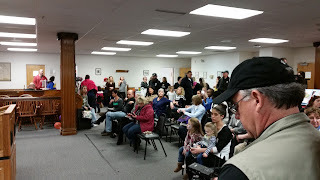 Saturday’s Animal Rights Day was a well-attended event with a full program including opening remarks by Dean Michael Coyne, who served as the Master of Ceremonies for the day, a police dog presentation by the Essex County Sheriff’s Department, and words from Greg Mahle, a man who has rescued over 30,000 stray dogs. 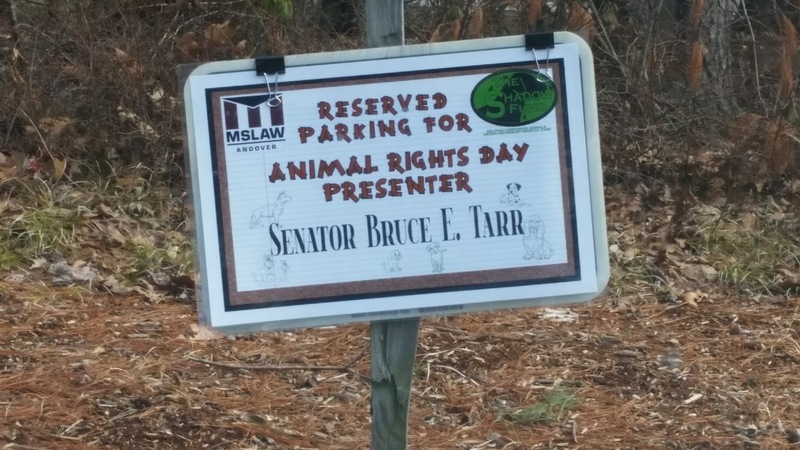 Thanks to the Massachusetts School of Law for continuing to remind us all of the importance of animal welfare, and the many things we can do to advance this worthy cause.